I was looking through some information the team at The Entertainer, toy shops sent through. 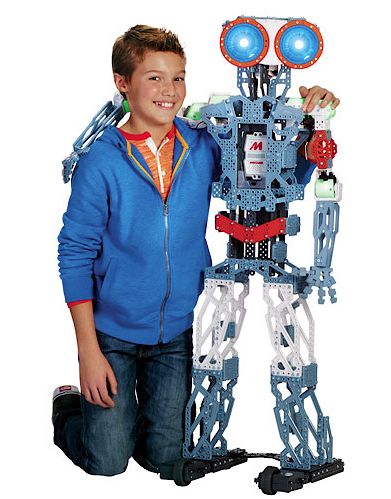 I thought I’d do a quick blog to highlight this Meccano Robot that jumped out of the page at me. I haven’t seen this on the high street anywhere and didn’t know that Meccano had been developed in this direction. ‘t’s a great Christmas gift idea for older children (10+ years) and indeed their dads. While it’s not cheap at nearly £350 it is an educational gift that will keep children with an interest in engineering and programming occupied for ages. You can find it featured on The Entertainer website. This range is 100% compatible with classic Meccano parts so no doubt you can follow the designs that some with the kit and then start using your imagination to build something unique.